On this particular morning I realized I only had five eggs in the fridge — not even close to enough to feed us all, especially when each kid could easily eat three each! I had coconut flour, homemade applesauce, and coconut oil on hand, so I mixed them and … voilà! The kids requested them every day at breakfast for a week straight, and a great go-to (and also “to-go”) breakfast recipe was born! I’ll be real here… I haven’t always been a great baker, which I guess makes sense considering we don’t often eat grains. 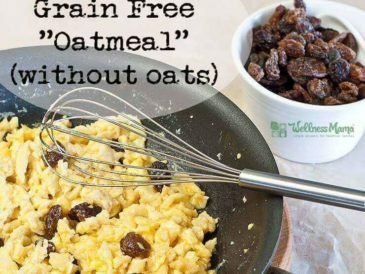 Still, being grain-free can mean a lot of scrambled eggs for breakfast, and we all have those days when only baked goods will do. It always feels great to get it right and hit on a recipe that makes both mom and kids happy. If you haven’t had coconut flour muffins before, know that they turn out a little smaller and denser than your typical muffin. Still, they have that bready texture and aroma. 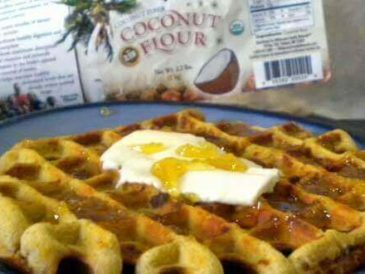 They’re full of protein and fiber that really satisfy, not to mention all the great health benefits of coconut since these muffins use both coconut flour and coconut oil. These apple cinnamon muffins stay in regular rotation at our house and even kick off the breakfast section in my Wellness Mama Cookbook. 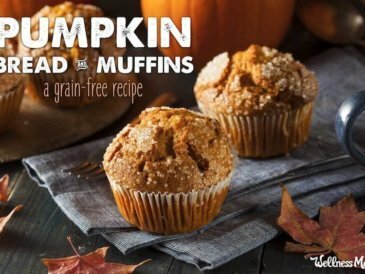 As with almost all of the recipes in my cookbook, this muffin recipe takes 30 minutes or less to make, uses real food ingredients, and doesn’t generate a lot of dirty dishes to wash up afterward. If you have to be careful and rotate recipes for allergy reasons or are just looking to get more variety at breakfast, check out the Real Plans meal planning tool for more help. 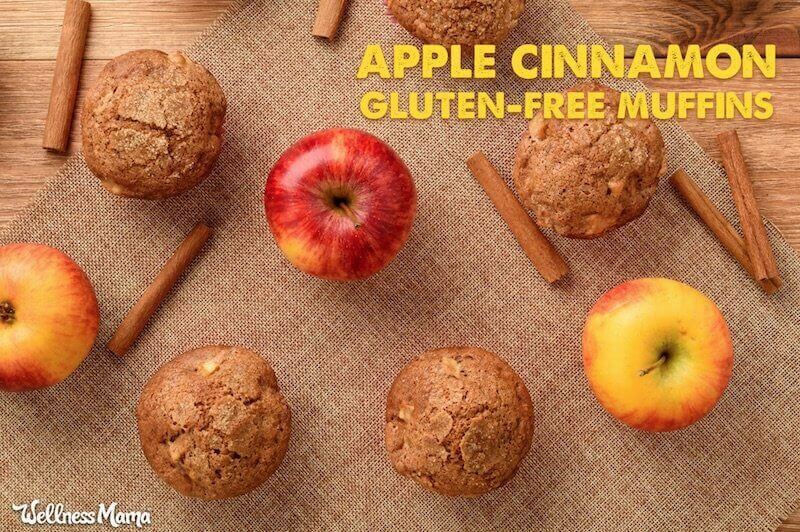 Apple Cinnamon … or Whatever Flavor You Desire! 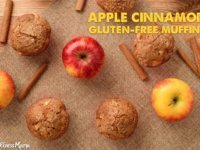 I chose this applesauce and cinnamon combo out of convenience, but these muffins are incredibly versatile. I even discovered with a few simple modifications I could turn this recipe into these coconut flour apple cinnamon pancakes! Skip the apple and make them lemon blueberry muffins! Hearty breakfast muffins that can be personalized to your specific tastes. Mix all ingredients in a medium-sized bowl with an immersion blender or whisk until well mixed. I prefer the immersion blender so the coconut oil mixes evenly even if cold/hard. Let sit 5 minutes. This helps the coconut flour absorb moisture and creates a better texture in the finished muffins. Use 1/3 cup measure to scoop into muffin tins. If you frequently need breakfast to-go, try making a large batch of these and freezing them. 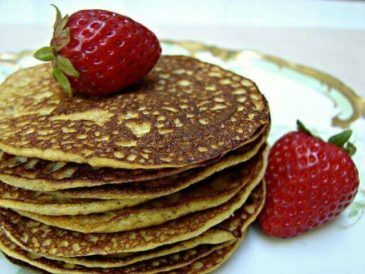 Almond Flour Pancakes – Easy to whip up for a crowd and only takes 3 or 4 ingredients! Grain-free Flatbread With Spinach and Egg – Missing toast? Try this! 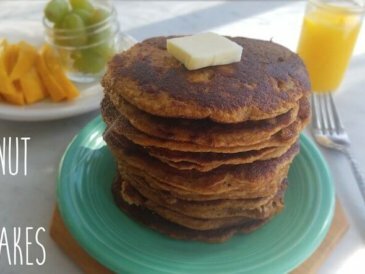 Grain-free Pumpkin Pancakes – This budget recipe skips alternative flour using egg and pumpkin as the binder. 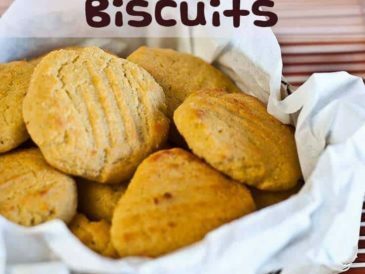 Coconut Flour Biscuits – Indulge in sausage gravy and biscuits again, or top with eggs and hollandaise sauce for grain-free eggs benedict! Have you ever tried making grain-free muffins? What other variations can you think of? Please share below!